I have been an idiot, for about 25 years. For those that know me this will come as little surprise and even by my own low standards it’s a pretty long time, but for at least half of my life I have been doing it wrong. I’ve enjoyed racing cyclo-cross on and off and with varying levels of commitment and success for at least a quarter century now, my first race was on a bike that was a smidge too big, was definitely more towards the touring spectrum of machine and had way too tall a gearing for the incredibly muddy and painfully hilly conditions round the local park. I still remember the grace and fluidity with which the two leaders lapped me as I stumble flailed over a fallen log. But painful flashbacks aside I was hooked. Between then and now I’ve done a handful of CX races a year, sort of keenly in that I’ve done ok with not too much scrolling down the results page to find myself, and whilst I love it to bits it’s not been something I’ve invested too much in; it’s more of a motivational tool to keep riding through the winter than anything else. I’ve never done any specific training, remount drills, running practice or stuff like that, and even though I’ve always had more than one CX bike in the shed/spare room I’ve never felt thick enough within in the sport to dedicate myself and my racing to a set of tubular tyre wheels, a piece of equipment deemed essentially necessary if you’re at all serious. 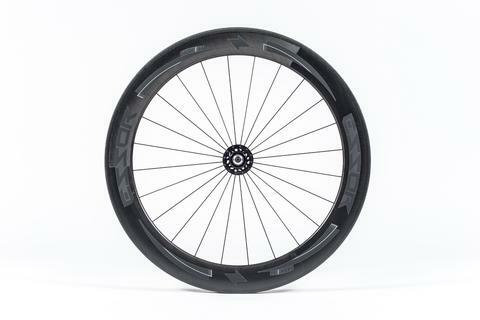 The short season and lack of committing to a whole series of races - mainly the struggle in justifying the travel/ride ratio to and from an hour-long race - have always been a legitimate barrier to the expense of a special set of wheels, it just wasn’t financially viable, and I didn’t get punctures that often whilst racing. Things were fine just as they were. Meh. I have always used a cyclo-cross bike all year round as a bit of everything bike though, doing a lot of mixed terrain road and off-road riding over the years, the sort of thing you’d probably buy a gravel bike for now. And that’s what I’ve enjoyed more than anything else really, if I were forced to limit myself to just one bike it would be a CX style thing. This muckabout style of riding isn’t something that fragile, expensive and tricky to mend tubulars are best suited for. Run good workaday tyres with sturdy tubes and accept that you’re going to puncture somewhere along the way. Get two flats and head for home has been a rule that’s stood me in good stead, apart from that time I got three more punctures on the way home. Bring a proper pump and always take lights. If you didn’t know, a tubular tyre is a tyre where the tyre and inner-tube are one unit, with the carcass of the tyre completely encasing the tube and the whole thing glued to a special rim without any sidewalls. There are upsides to this but the downsides to tubular tyres (as well as that expense of new wheels and tyres) are the need to go through a complicated gluing process to mount a tyre or if you want to change treads for something more or less grippy, and if you do puncture you need to un-stick the tyre, undo the carcass, mend the tube inside, sew the carcass back up and re-glue the tyre to the rim. A bit more of a complicated procedure than just popping a side of a tyre off and replacing a tube. They’re not very real-world or wallet friendly. But as anyone properly into racing ‘cross knows tubs are what you need. They allow super-low tyre pressures that give huge grip in the mud and as there’s no rim wall there’s significantly less chance of a pinch puncture, although if you do you can run them flat to the pits to swap wheels or bikes. Did I say I didn’t have a spare race bike? Maybe I was denying myself acquiring a set of tub wheels as it showed that I would have to take racing seriously, always good to have that excuse tucked in the back pocket that you weren’t really bothered if things didn’t go too well. Even if they did. Bit of a laff innit? Always playing the self-deprecating card. I’ve tried tubeless on the cyclo-cross bike several times over the years and it’s sort of worked, tyres are better now but I’ve had one too many (actually, considerably more than one too many) catastrophic failures to consider it a viable choice any more. Run them at low enough pressures to rival a tubular tyres performance and you’re likely to suffer burping and tyre rolling too. Then I did the first cyclo-cross race of a season and did quite well, better than usual and expected. I then finished the next race a couple of places higher and this started a spiral of enthusiasm and dedication as I realized this winter’s cyclo-cross might be worth making an effort towards. I booked out successive sundays, bagsied spare seats in vans, and found a set of Kinesis CX Tubular wheels, a pair of Challenge Limus tubular tyres and some glue in my possession. Ah, how did that happen? Time to be serious then. Research the best way to mount tubs and you’ll be bamboozled with a melee of methods and opinions, I didn’t have access to an ex Belgian pro mechanic that would leave my tyres in his basement for a year to mature before gluing them on with a concoction of the sweat of Sven Nys and 50-year-old mayonnaise so I did them myself in the kitchen with what I felt was the best combination of all the procedures I’d scrolled through, and what suited my head. You can tell me I did it incorrectly in the comments below if you want, or that I should have just used tape, yadda, yadda, yadda, it’s a bit late now. It’s a long process, and I think the word to focus on here is process. Things need to be done methodically and with thought and care. It today’s instant click-and-go swipe left world it’s a bit of a mental shift to do something as simple as putting on a tyre taking several days instead of a few minutes. If you want to put a new tubular on or change treads for a race on the weekend you can’t just do it on the Friday night. If it wasn’t for the slight stress involved and consequences of mucking it up (some of them expensive) the lengthy, precise but ordered procedure could almost be sold as a mindfulness course. The first thing to do in this process is inflate the tubulars and fit them onto the rims for a day or so to get them to get used to their round shape and stretch them a bit to make them easier to wrestle on when mounting finally comes. You can sit back and admire how nice your new wheels and tan-wall tyres are going to look. Well Pro, that’s how. This done it’s time to prepare the rims and backing tape of the tyres with a bit of roughening up and a good clean to provide a decent grounding for the first layer of glue. A firm going over with some Wet And Dry out the shed and a wipe down with some nail varnish remover and then meths because that was in the shed as well. Can’t be too thorough. Next up is to apply the first layer of glue to both rim and tyre. Opinions vary as to how many coats you need for each, I’m going for two on the tyre and three on the rim, as with paint it’s better to have several thin layers of glue than one thick globby one. I don’t have a truing stand so a pair of forks and a chopped off frame rear-end (don’t ask) clamped in the workstand will have to do for wheel holding duties. I like to think that I’m ok at art and I’m not afraid to wield a paint brush but dealing with thick sticky glue and a fat raggedy brush is a totally different prospect to being deft with some watercolours and an 00 sable. Concentrate on a thin and even covering and try not to go over the edges of either the rim or the backing tape of the tyre. It’s tongue out concentrating work, although suitably calming in its meticulous focus. Steady broad strokes from the centre of the rim to the sides, try to run the edge of the brush along the slightly raised border of the tyre backing tape. Rim and tub glued and any globby edges and overspread tidied up it’s time to let both dry for a day before painting another layer of glue on the rim. Put carefully out of the way of cat hair, shut the door. Same time of day 24 hours later get the glue pot out and try again to brush it on thin and even which is a little harder as it’s tricky to see what’s been coated and what hasn’t with a layer of glue already on there. Squint. Be calm. Be calm. Done. Once again leave alone for a day and use the time to muster up the resolve for the last task of finally mounting the tyre to the rim. This is fraught with peril. I am not looking forward to it. This is the crux move - one final layer of glue has to the applied to both the rim and the tyre and whilst they’re still sticky have to be fastened together, with the tyre lined up straight and true on the rim, and with no glue migrating or smearing on the sidewall if you can help it. And it’s not an easy job to change if you put a directional tyre on the wrong way round, you know, like you always do. I am already sweaty with anxiety. Right then. Final layers of gluing done and dry tacky to the touch. Double, triple check the tyre’s orientation, pop the valve into the rim hole and start to tease, I mean wrangle, the tyre round the rim. The base tape is a handy guide that the tyre is on the rim centrally so keep checking that as you move around the rim and lift and reapply as you see necessary. You need to move fast when you’re doing this, the glue really likes to be glue and doesn’t take kindly to being unstuck and stuck again and the longer you take the harder it becomes. If I was that Belgian ex pro mechanic with hands like shovels this would probably be easy but I have cycling arms (™) and the tyre is winning. A little too easily. Stretching the last few inches of tyre onto the rim is a proper brawl, you can’t just slip it on like you might a beaded tyre, you have to stretch the tyre, lift it and try to place it perfectly on the rim all in one move. With a lot of distressed grunting and muttered swearing it’s finally on and time to check it’s mounted nicely, or nice enough. Pump some more air in and spin the wheel to check how much tyre wobble there is. Make a note of the crap bits and try desperately to get the better of the glue, rip the tyre off and seat it again but centrally this time. This is more successful in some places than others and the end result is definitely not ideal. And there is glue smeared on the sidewall, this is poor form and distressing, people that know will know. Have a restorative cup of tea and biscuit and repeat the process for the other wheel and tyre. Further angry traumatic struggle and sweat ensues but the tyre seems to require less manhandling to rest neatly on the rim. Foof. Jeeeez. My hands really hurt. Gripping hard and grappling with the tall mud tread of the Limus tyre has given me a massive blister. What a ridiculous injury. Leave the wheel and tyre combo well alone for another day to cure before giving the bike a very tentative ride around the park to check things. You’ve never really known self-doubt blended with fear until you’ve proper wanged it into a corner on the first tubular tyres you’ve glued yourself. But remarkably everything stayed where it should and so there was general experimentation with lower and lower tyre pressures just to see. Then putting a little bit more air in after having a bit of a squirly moment. I think this whole thing might be a process that gets easier the more you do it, and it’s only the last task of mounting the tyre to the rim that’s the real tricky bit and like many bicycle tyre related issues there’s definitely a knack to it. Remember the first time you had to change a tyre or mend a puncture and how that was compared to the relative ease it is now? Like that, maybe. 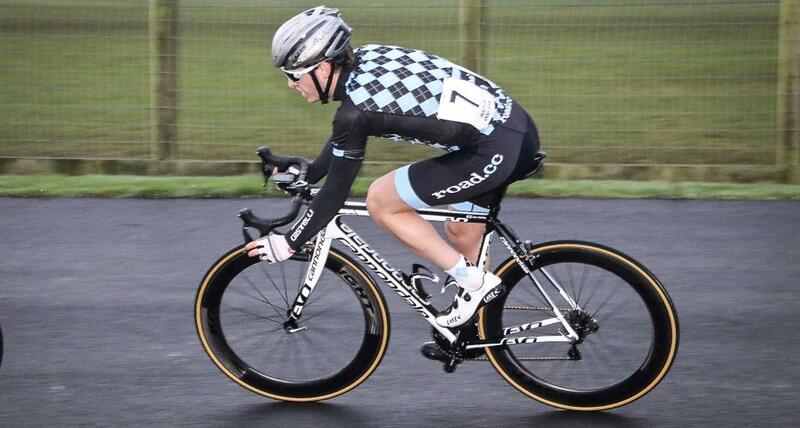 First race on my new tubs then; muddy, sleet, raining, really very muddy. Proper cyclo-cross conditions then, it’s going to be a good test. Somewhere round the first lap, coming into a tight left-handed corner, slightly off-camber, elbow to elbow with another rider. Ordinarily I’d have teetered around, drifted sideways and struggled for any morsel of traction and done a muttered swear, but with these mud treaded tubs on the bike steered where I wanted it to go, gripped with a level of tenacity I’d never known before and I flowed through the corner and exited with control, power and a handy gap between myself and the rider I’d entered the turn with. In those three seconds I realise that I’ve been an idiot for 25 years. I’d always thought that the people simply ragging past me during my history of cyclo-cross racing were just better bike handlers than I and now I know that’s a lie. They just had tubs. I’m very much a “not about the bike” person and cyclo-cross is very much an arena where fitness and skill will triumph over any money spent on a bike but I’m willing to eat my grit speckled words here. Racing tubular tyres is an absolute game changer if you’re used to riding on tyres and tubes or even tubeless. You’ll experience previously unfelt levels of grip, unknown control and the ability to run low enough pressures and yet still clatter over off-road obstacles and roots with little fear of puncturing. It will move you a couple of places up the results sheet, easily, if you want it to. I also have a spare set of regular tyred wheels too now that I use to ride to and from the race or to the lift pick-up that can be used as a pair to leave in the pits for emergencies. I am deep down a ride-what-you-brung kind of rider, especially in cyclo-cross which is the most friendly, inclusive, come-and-have-a-go branch of cycle-sport. My CX race bike is a seven year old alloy Specialized Crux with 10 speeds and cantilever brakes (remember them? ), but I’m going to look you straight in the eye and say that even if you’re halfway serious about CX racing then invest in some new wheels and some tubs, they will be the best investment you will ever make. It’s worth all the money, time and effort as they will make more difference than anything else you could do when the going gets muddy. I have been an idiot, don’t be like me. Might be easier to buy more wheels! I glue mine with brush in one hand, glass of Merlot in the other. It's all part of being a cyclist. Great writing and welcome to the world of fun & grief that is tubular tyres! Actually I don't know about 'cross tubs at all but there's no way I would put that many layers of glue on a road tub. One on the rim, one on the tyre, leave for a couple of hours then one more on the rim and mount works for me. I'm not surprised you were finding it difficult to paint the glue on straight with a head full of VOCs! Like Vecchio, a pair of tubs was never really a neccesity and although I've cycled,solidly since the mid 80s, commuted, used bikes for utility and cycle toured/rode at weekends, cycling was never a sport for me, that lay elsewhere. Move forward 25 years and as you get older and if lucky enough to have a bit more spare cash you can treat yourself to things you want rather than need. I bought a pair of lightly used Gigantex carbon tubs with Conti 4KII. Even though I had added a few kg since stopping playing rugby (peak of 107kg!) they were very much able to make it seem like you had an extra few mph in your legs. With a Principia RS6 and Rex-e it was brilliant, a few more years to 2017 and I managed to get hold of a pair of new Campag Bora One tubs for a silly cheap price, front has a 25mm conti comp and the rear is a 27mm Veloflex. I love them, so smooth.